If you have been considering improving the living spaces in your Northborough home, LT Construction & Remodeling and its expert remodeling contractors have the ability to help you. For over ten years, we have been providing the Northborough area with the highest quality kitchen, bathroom, and basement remodeling services. Our professional remodelers have the skill to handle any size job from single-room renovations to extensive construction like room additions or new garages. No matter what you have in mind for your Northborough home, our remodeling contractors can help. 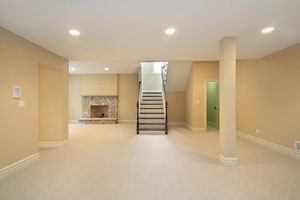 At LT Construction & Remodeling, we hold ourselves to a high standard of professionalism and excellence. Each of our Northborough remodelers is professionally trained and licensed. We maintain a full line of trade insurance. Most importantly, our remodelers take an immense amount of pride from their work. When Northborough residents hire our team, they can feel confident that we will get the job done correctly the first time around. Call us today if you have been considering a remodeling project in Northborough. Our contractors would be honored to help you improve your home. We will work our hardest to make your vision of your home become a reality. Our courteous and polite staff can answer any questions that you have, and we would be happy to schedule your appointment today. The most popular room to remodel is the residential kitchen. Because this room is so important to everyday life, an expertly conducted remodeling project can result in substantial gains. At LT Construction & Remodeling, our kitchen remodeling team understands that a great kitchen must be beautiful and highly functional. Our professional kitchen remodelers will assess the layout of your current kitchen. We will also listen to the unique ways that you and your family use this space. Afterwards, our kitchen remodeling experts can help design a space that will fulfill all of your needs. Then, our kitchen remodelers will continue to work with you to provide you with the most customized and beautiful flooring, cabinets, countertops, and backsplashes. We guarantee that you and your family will be completely satisfied with the new look of your Northborough kitchen. Bathroom remodeling projects also substantially improve the everyday experiences of your Northborough family. You and your family rely on these spaces every morning as you prepare for the day. In our bathroom remodeling projects, our main goal is to design a space that helps with your everyday important tasks. By beautifying the room and improving its functionality, we can guarantee that you and your family will love you new Northborough bathroom. 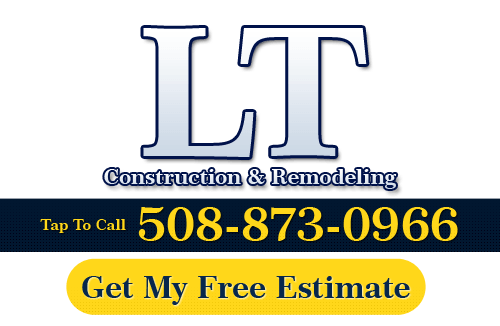 If you need to hire a professional Northborough remodeling contractor, call LT Construction & Remodeling at 508-873-0966, or complete our online request form.